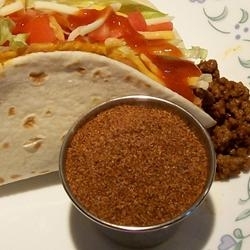 My taco seasoning recipe will save you money. But that's not the best part. Your food will taste like nothing you've ever had before, with no preservatives. I give you the basics so you can create your own version. Use it just as you would with the store-bought kind (which you will never buy again). If you are using this mix for tacos, use 3 tablespoons of this mix per pound of cooked and drained ground beef. Add 1 teaspoon of flour to the seasoned ground beef to thicken it, and 1/4 cup of water and heat everything through. You must try this delicious mix with my easy chicken enchilada recipe. It's wonderful. Make a big batch and pour into glass containers. Wrap with a ribbon and give as gifts. 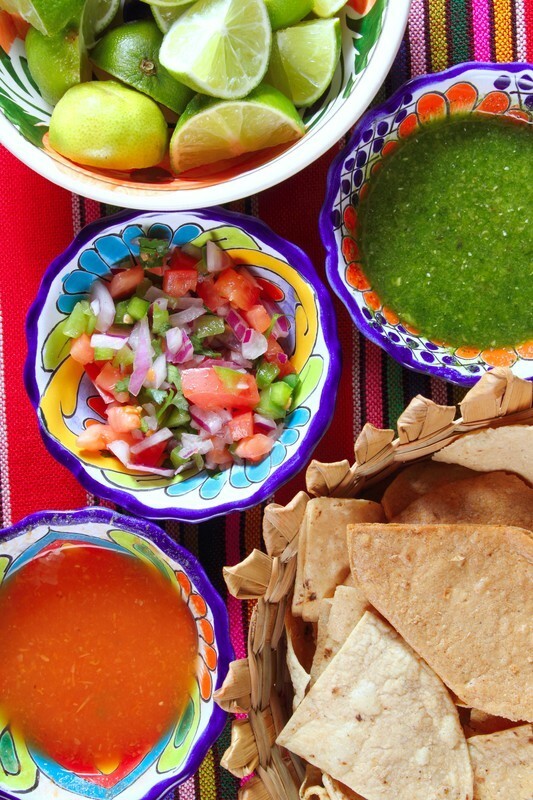 You may also want to take a peek at my easy Mexican recipes - you may find something you love like chicken enchiladas or homemade guacamole; and that's just starters. Don't forget to try my authentic Mexican dessert recipes like Sopapilla Cheesecake and Fiesta Pear Dessert Recipe. Outstanding. This is a Taco Bell taco seasoning recipe. It's everywhere on the web, but I thought I would post it here also. Notes: To make taco meat, brown 1 lb ground beef in skillet; drain. Add seasoning mix and 3/4 cup of water. Bring to a boil then reduce heat. Simmer uncovered, 10 minutes, stirring occasionally. In addition to the homemade taco seasoning recipes, I've also included my homemade taco sauce recipe. Place ingredients in a saucepan and bring to a boil. Reduce heat and simmer on low for 15 minutes. Cool and chill before using.